Morrissey Engineering Inc. specializes in delivering solutions to achieve optimal energy efficiency for mechanical, electrical and technology needs. We partnered with Meyers Communications to develop a new visual identity and website for Morrissey. 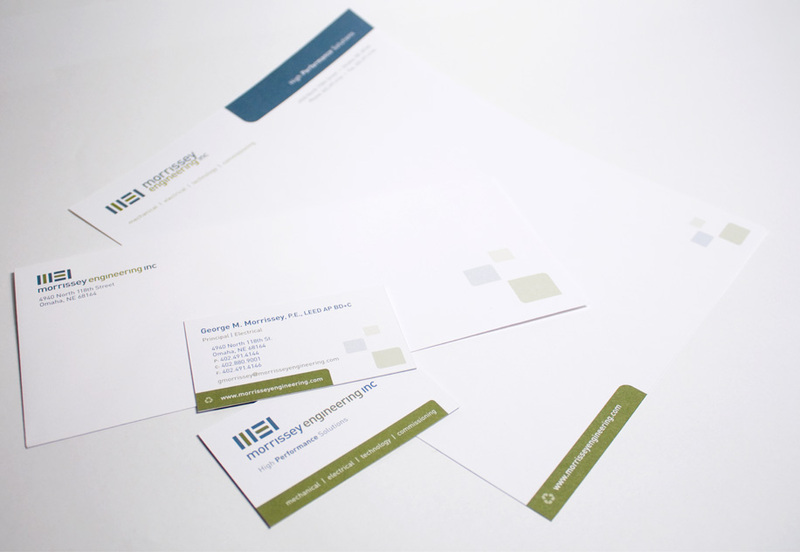 The Corporate Three Design creative team worked directly with MEI's president and his marketing staff to revamp their exising identity. The icon of the MEI identity needed to remain intact, but needed updating to stand apart. We developed a more eye-catching color scheme, customized a new typeface and refined the existing icon which new shapes created a design element that could be used throughout additional marketing materials. 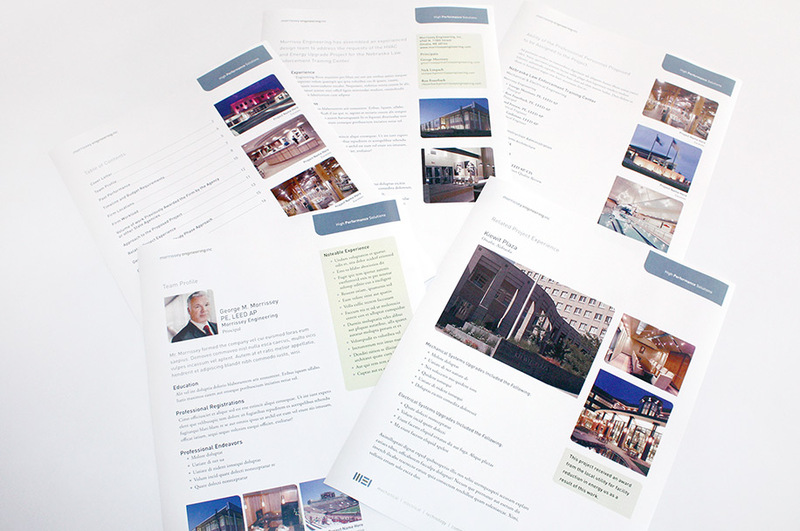 With the logo designed and approved, we created unique business cards, letterhead, project proposals and ad templates all designed to make Morrissey standout in the engineering space. 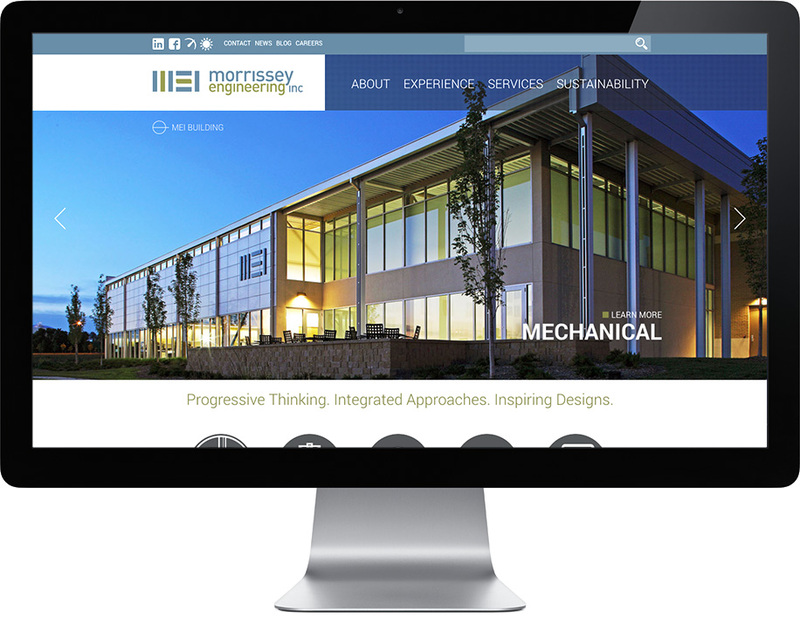 The new visual identity became the foundation for the new Morrissey Engineering website. The new site was designed to showcase their engineering portfolio. Morrissey also made the unique request to develop a real-time energy meter to highlight their green energy initiatives directly on their website. We were more than happy to deliver on this request. The redeveloped Morrissey Engineering Inc. brand sets them apart from the competition and gives them a strong visual foundation to carry into the future.